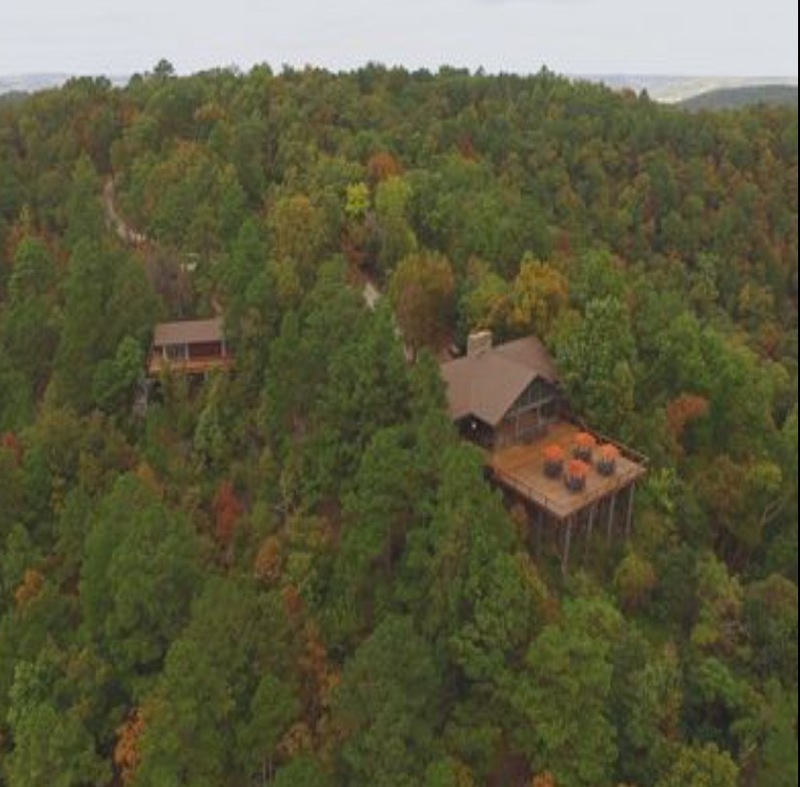 Fifteen minutes outside of the eclectic and artsy town of Eureka Springs, Arkansas, the King's River Deck House is situated on thousands of acres owned by the Nature Conservancy. 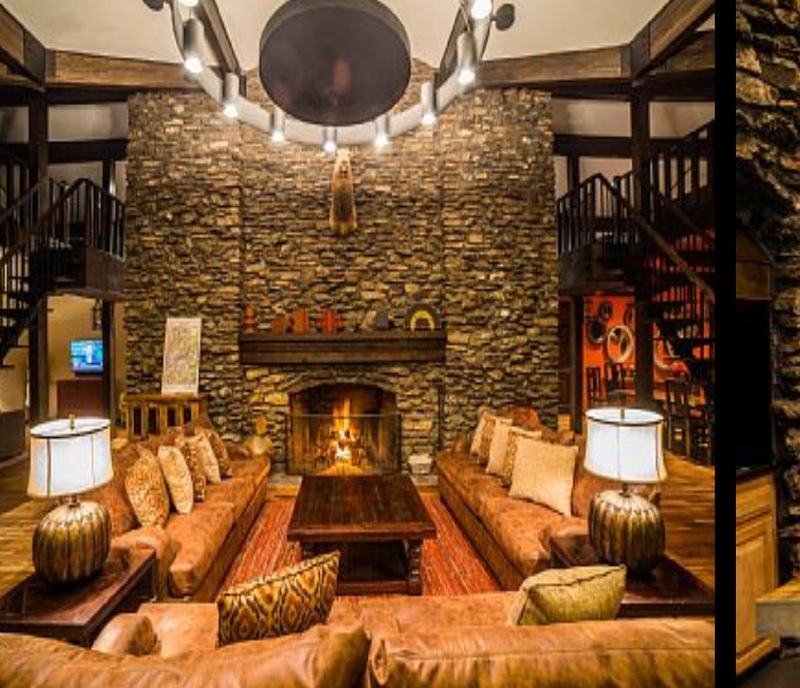 A beautiful, historic lodge with a huge, wraparound deck that overlooks a secluded bluff. Modern amenities and furnishings in a rustic setting. 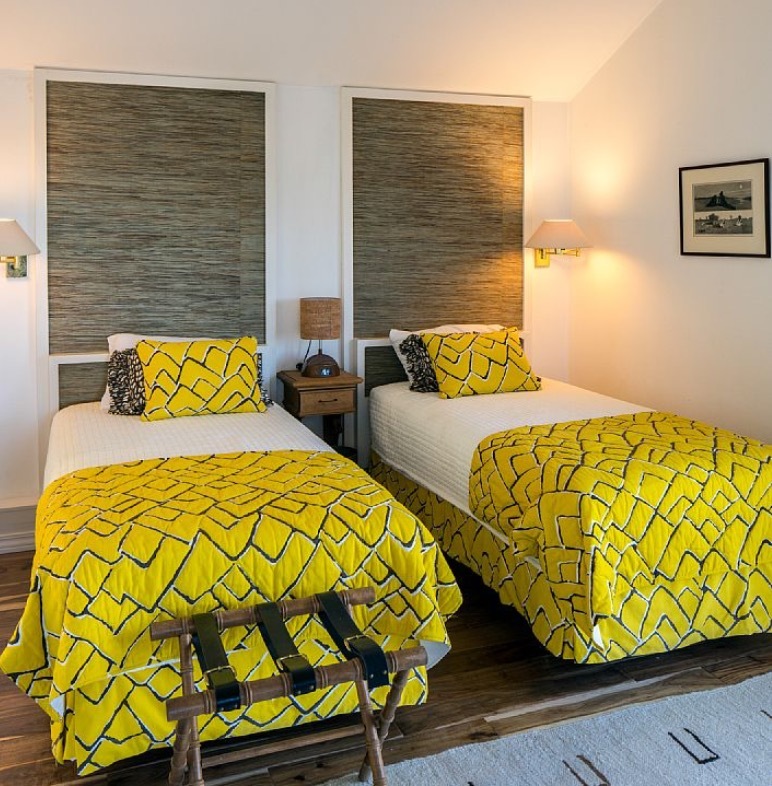 In addition to the bedrooms and sleeping loft in the main house, there are two separate, private bungalows nestled in the woods. Multiple bathrooms. 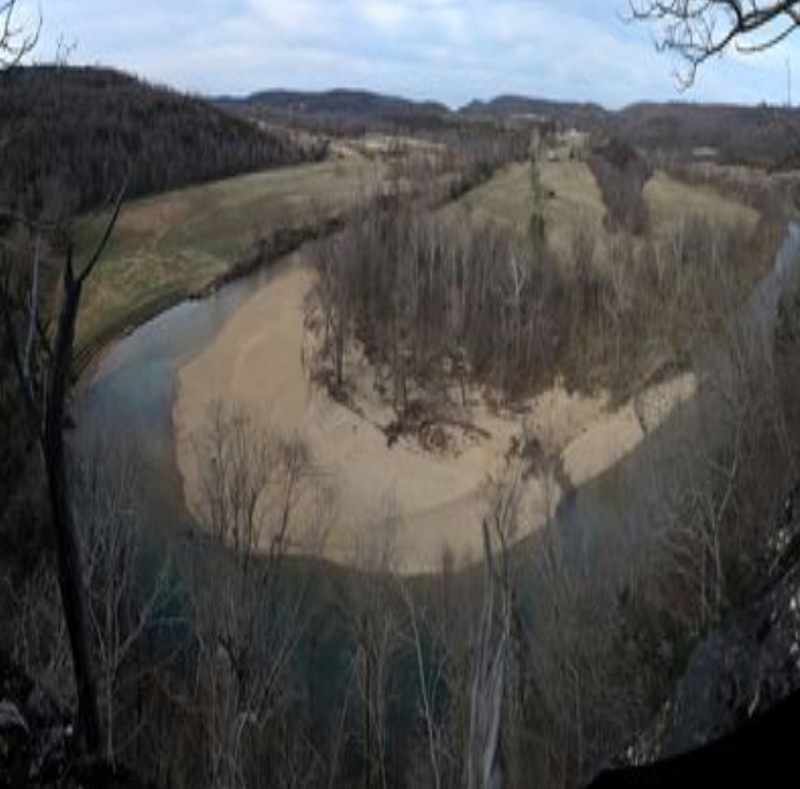 A two mile nature trail from the house leads to the bluff overlooking the Kings River Valley. The fall colors of Arkansas are beautiful this time of year. SCROLL DOWN FOR PHOTOS. You'll want to be here! We are so excited to host our INAUGURAL Craftscapade retreat and we'd be honored to have you as a part of it! 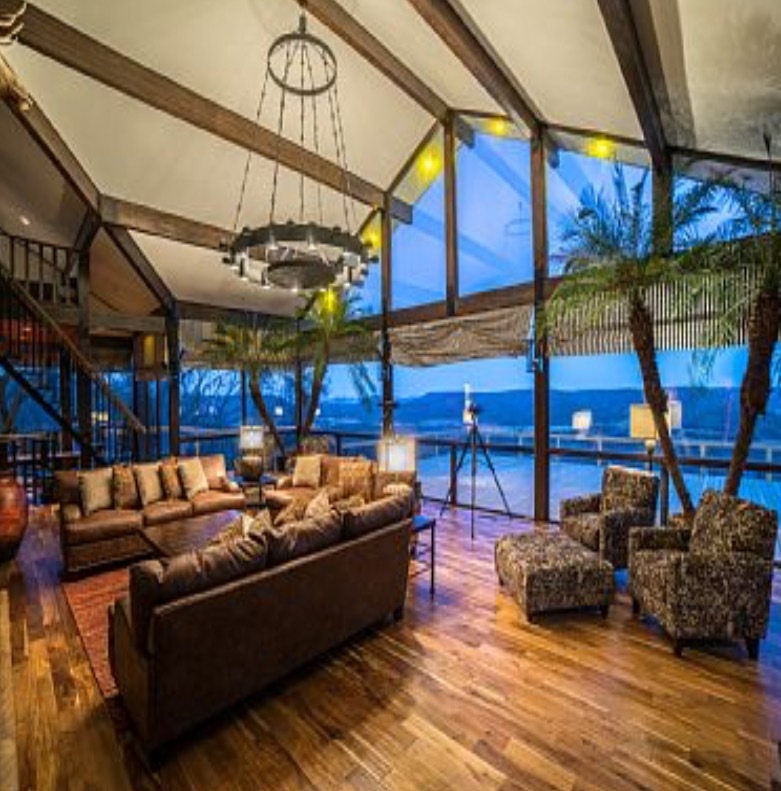 The location has carefully been chosen for it's simplistic luxury, comfort, and beautiful natural environment. The King's River Deck House screams chilly morning coffee, red wine, cozy blankets and stitching around the fireplace. So what does the retreat include? Three nights lodging, all meals, drinky-drinks, yoga and craft instruction time. All craft materials provided. Mornings will be spent with good coffee, optional, all-levels yoga (weather permitting we'll have it outside on the expansive deck), breakfast, and instruction time. Then we'll break for a light lunch and free time (hiking, napping, catching up on trashy magazines---your choice); followed by more instruction, dinner and drinks, then maybe a fire, or games (not the fall-in-my-arms-Trust-freaky kind of games) or a dance dance party party. (No glow sticks though, I promise.) There will be structured time interspersed with plenty of free time, and DIY craft stations stocked full of crafty goodness as well. A portable little craft reference library for quiet reading time and craftspiration if you choose: DIY books and favorite issues of Flow Magazine, Uppercase, Mollie Makes and more. Some projects will be more formal, at tables; some will be like an old-school stitching parlor, sitting on the floor or sofas while gossiping. We won't be too uptight about the schedule and hope you won't be either. That said, below is a sample schedule that will guide us while allowing us to naturally go with the flow and with the whims of the group. Thursday: 6:00pm Check-in, followed by heavy apps, strong cocktails and getting acquainted. JUST ADDED! Rachel from Smile and Wave will be joining us as a Special Guest Teacher and will be leading a mini weaving workshop! 3 Nights. Arrive Thursday evening, October 5 and depart Sunday morning, October 8. All-inclusive. Includes lodging, all meals, drinks, craft supplies and instruction. Easy, just show up! Bungalow 1: Total Occupancy 4 people. 2 bedrooms for two people each w/ a connected, private bath. $900 per person. Bungalow 2: Total Occupancy 4 people. 2 bedrooms for two people each w/ a connected, private bath. $900 per person. Bedroom 1: Private room for 2 people. (Main house) $825 per person. Bedroom 2: Private room for 2 people. (Main house) $825 per person. Loft 1: Open sleeping loft in Main House for 4 people. $725 per person. We respect your privacy. This information will not be given away or sold. We just wanna keep you in the loop!